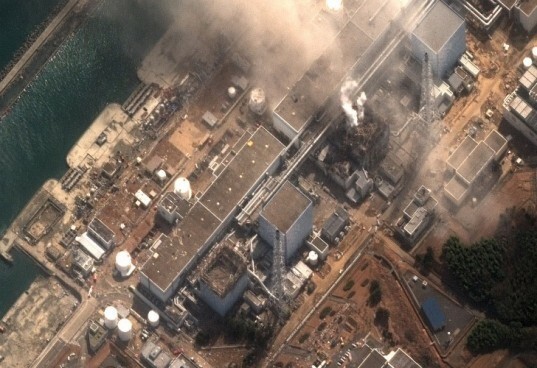 In a futile attempt to save Japan’s Fukushima Nuclear Power Plant from meltdown, workers have been feverishly pumping water into the reactors, but one radioactive core has overheated and melted. The reactor may not be saved, but US radiation expert Richard Lahey assures there is no immediate large-scale meltdown danger. Still, the radiation level in a pool of water in one room of reactor two was recently gauged at 1,000 millisieverts per hour, a level so high that under current exposure guideline, workers could only remain in the area for 15 minutes. High radiation levels for the water outside of the reactor area and in its drywell were a sign that the radiation was no longer contained. It seems the radioactive core – which contains fuel rods and zirconium alloy cladding – of reactor two has melted through its surrounding pressure vessel. If and when the molten core reaches the concrete floor, it can cause a reaction that will emit radioactive gas to the surrounding area. One major concern of the reactor meltdown and leakage is its effects on the drinking water of the area. At present, the radiation in the area of the plant is so high that workers may only be exposed for 15 minutes at a time. The current public reports on the safety of the surrounding drinking water fluctuate daily, making some nervous about whether or not to drink it. US medical researcher Robert Peter Gale suggests that an additional commission of researchers be deployed to convert the drinking water data to something the public can more easily understand, so that they can make informed decisions on the safety of the public drinking water and avoid further confusion or panic.